Marine 31 Forum » Marine31 Welcome & Announcements » Forum News » 20% Off & Free Shipping Over $95 through May 31st! 20% Off & Free Shipping Over $95 through May 31st! 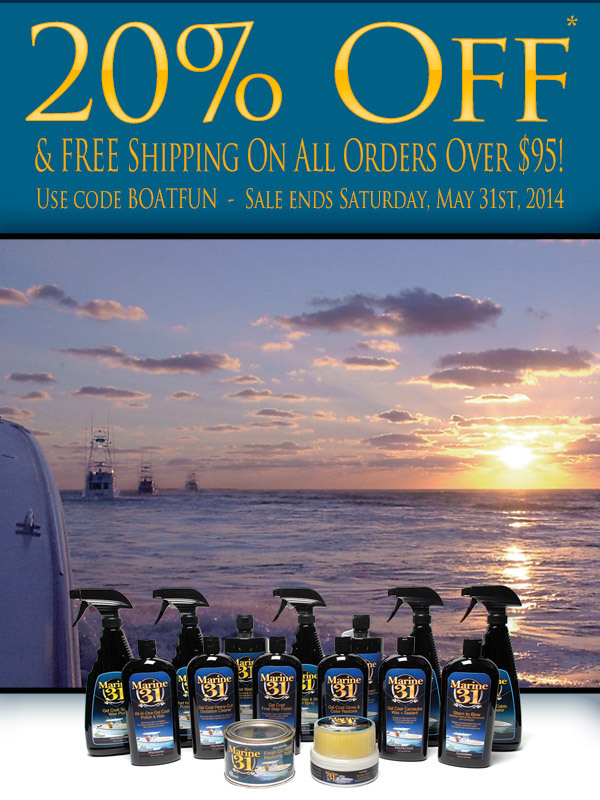 Take 20% off* all your boat detailing supplies at Marine31.com when you use coupon code BOATFUN, plus free shipping over $95! Sale ends soon! Act quickly, the sale ends Saturday, May 31st at midnight EST. Details.